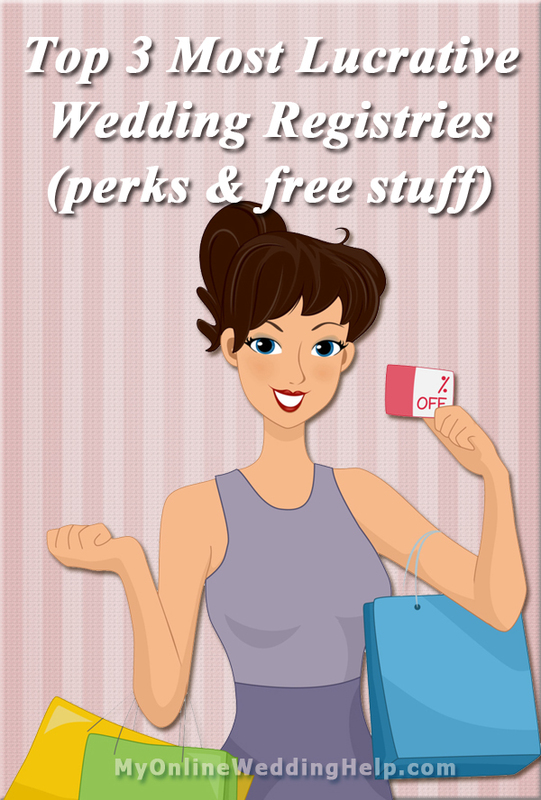 This may well be the most lucrative registry in terms of perks. You get a lot of free stuff, starting with merchandise credit based on what’s purchased from your registry: 10% to you, up to $200, to use in store or online. You also get free items (like knives or cookware) when you register for and/or your guests buy certain brands from the registry. The list of items looks similar in quality to what you get with Bed Bath and Beyond’s registry (below). Finally, they give a 15% discount on bridal registry purchases up to three months after the wedding. Returns with the gift receipt are refunded with a gift card. Kohl’s registry is here. several of these types of promotions in their "freebook." There is no time limit on returns and they do not have to be in the original packaging. Without a receipt, they issue store credit. The registry is here. Let’s face it: some (or all) of your guests have limited funds to buy a gift. While it may be tempting to go with a higher end store, it’s both more practical and beneficial to you if you go with a quality discount retailer as well. People will appreciate the options if they cannot afford many of the items on your registry at a high-priced store. For example, as of this writing the price for 6-quart Crock Pots start at $40. The 6 Quart Crock Pot at Target is $23.99. Plus, the purchaser get an added 5% off and get free shipping if they use a Target Redcard. Bottom line: folks are likely to be able to afford more at Target, so you will probably end up with more gifts. Finally, as of this writing, you can get 15% off your remaining registry items the week of the wedding. I used to work at bed bath and beyond and you also get access to tons of planning help with their wedding toolkit and are very knowledgeable about the best products to register for and offer free gift packaging which guests LOVE when they are ten minutes from being late to the wedding.